Hunter Lafayette Properties manages residential apartment communities that can fit all of your needs. We provide our residents with comfortable, spacious and well maintained apartment homes. Our success is measured only by the comfort of our residents. As a full-service residential property management and investment company, Hunter Lafayette Properties is adept at creating affordable, well suited apartment homes for our residents. We are large enough to handle all facets of property management, but small enough to offer our residents the individual, “hands-on” approach to property management that they desire. We understand that each renter and property is unique and that the “cookie cutter” approach to management does not work. New to the Greater Lafayette Area, HLP is determined to provide a unique living experience for each and every one of their residents. Welcome to our properties. 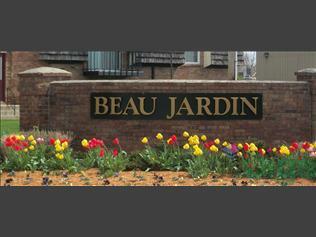 This page contains information about Beau Jardin and it's rental listings. All details have been provided by Beau Jardin.